Are you looking to set up a company to trade stocks, FOREX, bonds, options, CFDs, and/or funds? SFM has extensive experience structuring trading companies and opening brokerage accounts. If you intend to open a large trading account it is important to trust the broker and be confident that your funds are secure. Saxo Bank, and many more. 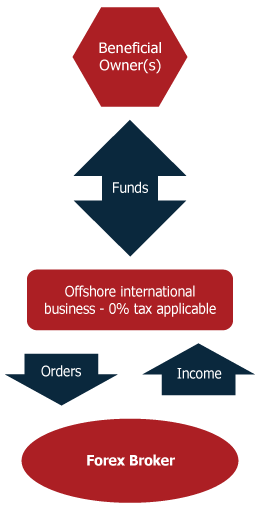 If you are a trader steadily increasing transactions, it may be time to consider the advantages offered by placing your accounts with an offshore company. If you should later decide to start trading with assets from third parties, you will already have the structure to show an audited track record through corporate ownership. When opening a trading account, the preferred method is to form an offshore company, such as an International Business Company (IBC) or an LLC, in a country where details of the company's owners are not required to be publicly filed. The company can be formed using a nominee director and/or shareholder to provide anonymity for the owners. While there are no jurisdictions that specialize specifically in trading accounts, we generally recommend Seychelles, Belize, or Hong Kong for incorporation, as these are affordable solutions with rapid company formation processes, and companies from these countries are well recognized by banks and brokers. Of course, your options are not limited to these three as SFM can form companies in 15 different jurisdictions worldwide.